Charlie Tomlin is the Real Charlie in Mid Canterbury. He is a man who gets the job done. He’s a fix it man, a problem solver with a can-do attitude. He’s been in business in mid-Canterbury for 26 years and knows the area – and its people – like the back of his hand. A fitter and welder by trade, Charlie built the truck unit himself from scratch with just the truck and chassis. It is purpose-built to meet the needs of the liquid waste in the local area. Our truck is green and completely contained to represent our commitment to the environment. 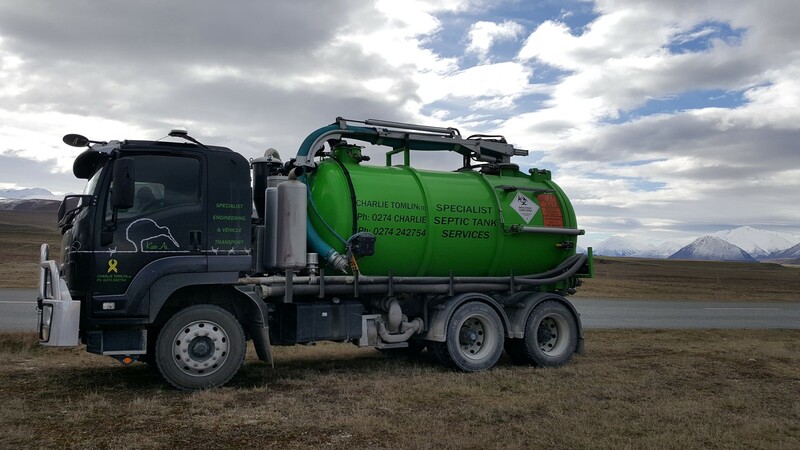 We specialize in septic tanks portaloos dairy sumps hydro excavation, drain jetting and water blasting. But if you have an issue that doesn’t quite fit the box, Charlie could have the solution. When you ring you will talk to Charlie himself, so give him a call today for good old-fashioned service. It’s Kiwi As. Whatever system you have, the wastes from your kitchen, bathroom, toilet and laundry enter the septic tank where the separation of liquids and solids occurs. The light solids such as fats float to the top, producing a scum layer which prevents odours escaping. The heavy solids sink to the bottom where they form a sludge layer. The organics in the wastewater are broken down by bacteria in your septic tank system. Once the organics are broken down, the liquid part leaves the septic tank where it flows by gravity or is pumped to the land application system. 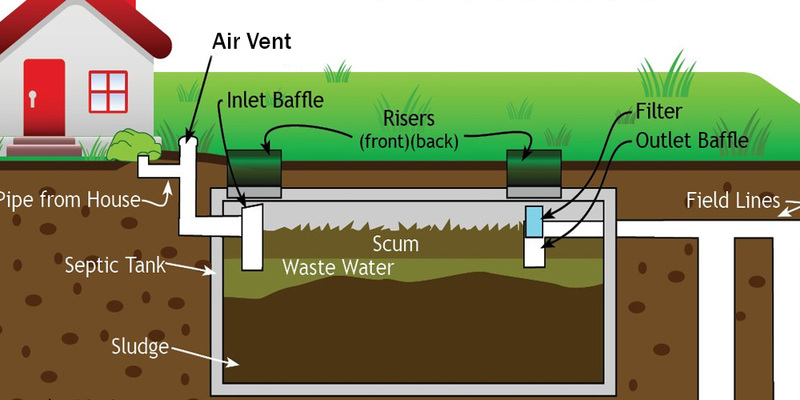 The figure below shows the processes which occur in a simple septic tank system. What type of septic tank do I have? 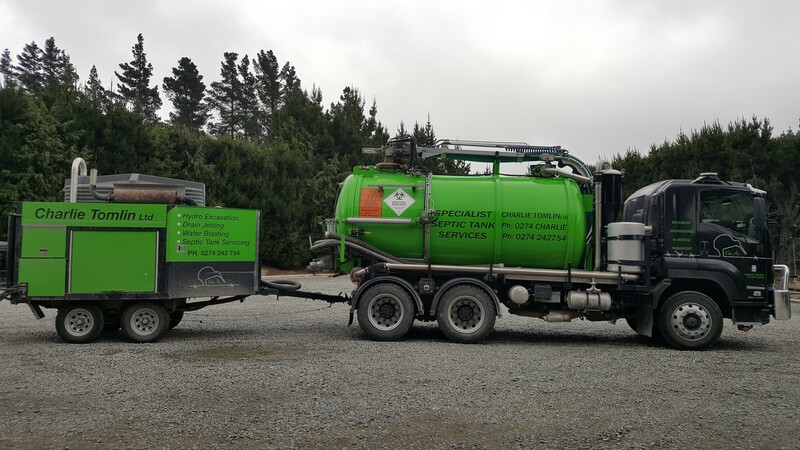 Check the area around your septic tank, then contact Charlie with some details and he will advise you on what system you have. Can you unblock my drain? Yes contact Charlie and discuss the details with him. Why do I need to have my septic tank system pumped out? Because sludge builds up and can cause damage to your drainage system. Give me a call. Can you pump my septic tank out through the vent cap (mushroom)? No this is not going to pump out the sludge layers so I do not recommend it. I have a small digger available to dig up the lids. Do you clean out portaloos? Yes I regularly service portaloos. I can provide the chemical for them also. Can you help me with a blocked drain/effluent line at my dairy shed. Yes my drain jetter set up is design for this and will have the drain unblocked in no time. Can you water blast with the jetter unit? Yes give me a call as I can clean of years of dirt! Charlie Tomlin Ltd shared a post. It is still Winter but Spring is around the corner. 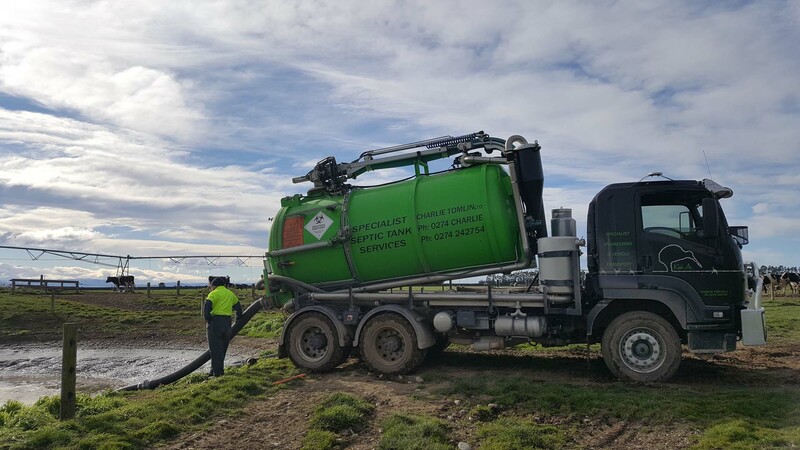 Contact us for all your Septic Tank, Dairy Effluent and Hydro excavating needs. Charlie Tomlin Ltd shared a link. © 2019 - Charlie Tomlin Ltd. All rights reserved.